What has your team learned lately about growing and scaling a business? What have they learned outside of your industry? A team that is continuously learning and improving is important if you’re scaling. 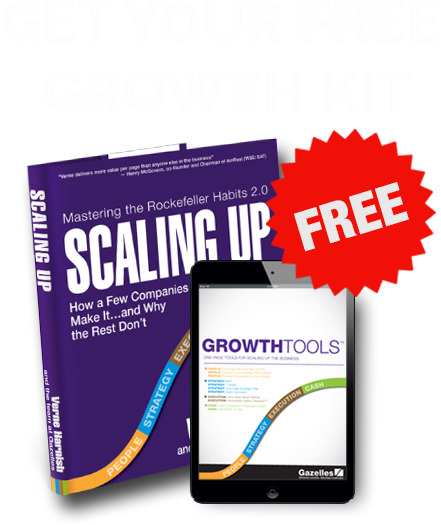 Today’s show shares a preview of some of the topics that were discussed at the Scaling Up Summit to help you become a better leader and entrepreneur! Did you know that 83% of small businesses around the world are not profitable? Business owners are living month-to-month and are desperately struggling. Today’s episode dives into how to never live paycheck-to-paycheck again. We see CEOs and leaders make a lot of the same mistakes and today’s show highlights a frequent mistake that occurs: inattention to results and cash. This is episode has two high-level coaches to chime in on the subject! With a breakthrough strategy, you can actually out-think your competition and do something bold – but how do you get there? Today’s show dives into a repeatable process you can implement in your company and culture to naturally create those “aha” moments. Mike Maddock — What Do Disruptors Have in Common? Industries are being disrupted again and again with disruptors like Elon Musk, Steve Jobs, Bill Gates, and more. You might want to be a disruptor yourself, or maybe even learn how to better manage disruptors and work alongside them. What frameworks can you apply to be more of a disruptor? Today’s guest has some answers! When scaling up a company, finding the right people is the hardest part. We love to work with people based on their strengths, and find ways to align this with the overall company culture. Today’s show focuses on the deep work necessary to develop a thriving values-based business. Today’s episode addresses two different areas in the world of cash as well as a novel and innovative business. We’ll be taking a dive into the employee/employer relationship and the stresses that lead to lead employee discomfort around the topic of cash. This is a very special episode, because our guest is sailing around Antarctica. And, because of where our guest is, the interview was conducted via satellite phone. What has taken place is an incredible and historic journey that we can’t wait for you to be a part of. Are you looking to get more engagement from your team and from your front-line staff? And, do we really need that much middle management support? Today’s show is all about developing a more agile and less ‘managed’ team that’s also engaged, happy, and empowered! Looking to scale your company 10X or even 100X? What value can hiring a coach bring to you and your company? Today’s episode is slightly unique because you’ll get a chance to listen to a live coaching call with a client who’s looking to scale her business 10X within the next 18 months. Good storytelling is essential to both great leadership and great marketing. At the core of telling great stories, is the ability to be real and to go beyond the superficial level. You can accomplish this by having the courage to be vulnerable.